Ask The Ripped Dude: What Are The Risks Of Soft Drinks? I admit it; I've been known to have a few soft drinks during the week. Are they really all that bad? Yes. Enjoying even a few soft drinks per week can significantly increase your risk of gaining weight! The high sugar and caffeine content of soft drinks makes them addictive and terrible for your waistline, bones and blood sugar. Science shows that even diet soda has its dangers! Common sense dictates that slamming gallons of sugary crap will lead to health problems and weight gain. What you might not know, however, is that diet soda is equally - if not more! - dangerous than the regular, canned sugar-water. It's important to note that this study doesn't show causation, just correlation. 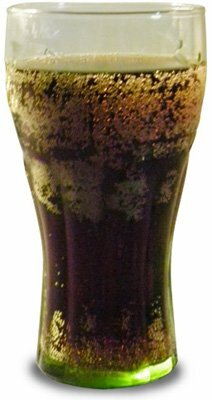 Diet soda drinking is linked to obesity, but doesn't necessarily cause obesity. Researchers speculate that diet soda drinkers may use the calorie-free drink as a "free pass" to include other unhealthy, calorie-dense foods on their plates. Interestingly, it may be that offering your brain something sweet that's not actually backed by calories could cause future cravings that lead to actual binge eating. A study presented at the American Diabetic Association in June of 2011 showed 70% of zero-calorie soda drinkers had a bigger waist than those who do not drink soda. Researchers from Brigham and Women's Hospital and Harvard Medical School tracked the health of more than 51,000 women over 8 years. At the onset of the study, none of the women had diabetes. By the end of the eight years, 741 women were diagnosed with the disease. The kicker? The women who drank one or more sugary soda drinks a day were 82% more likely to develop type 2 diabetes than those who consumed them less than once a month! Soft drinks can weaken the bones and muscles. Consuming a high amount of soda over an extended period of time can even increase your risk of osteoporosis. Drinking too much soda can also increase your chance of acquiring metabolic syndrome, which puts you at greater risk of diabetes, heart attack and stroke. According to the above science, drinking diet soda doesn't help you stay or get skinny. In fact, the research seems to suggest the opposite. Water is the best alternative to soft drinks. If you do partake in a sugary beverage every day, do your best to minimize your intake. It's unhealthy, dangerous and won't do anything to help you meet your health and fitness goals! 8. Fowler, S.P. 65th Annual Scientific Sessions, American Diabetes Association, San Diego, June 10-14, 2005; Abstract 1058-P. Sharon P. Fowler, MPH, University of Texas Health Science Center School of Medicine, San Antonio. WebMD News: "Drink More Diet Soda, Gain More Weight?" Montonen J, Ja"rvinen R, Knekt P, Helio"vaara M, Reunanen A. Consumption of sweetened beverages and intakes of fructose and glucose predict type 2 diabetes occurrence. J Nutr. 2007 Jun;137(6):1447-54. Owens BM, Kitchens M. The erosive potential of soft drinks on enamel surface substrate: an in vitro scanning electron microscopy investigation. J Contemp Dent Pract. 2007 Nov 1;8(7):11-20.